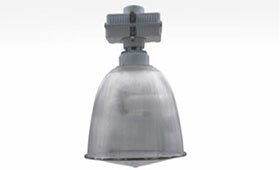 Our FRP Medium Bay lighting lamps & fixtures are used widely all over numerous sectors. High glare is an issue regularly connected with numerous sorts of lighting options. By utilizing Aeron Medium Bay lamps and lights, one can successfully deal with such issues. Our Medium Bay fixtures are perfect for utilization in spaces where the roof stature is about 20 feet. 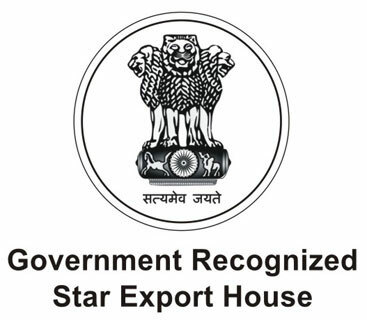 These Bay lamps are of supreme quality & ensure a proficient execution. 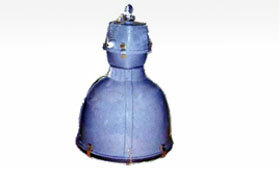 Our fibreglass luminaries – FRP Medium Bay lamps, FRP High Bay Lamps are accessible in comprehensively encased GRP lodging suitable for utilization in non perilous, dusty, destructive & humid environment overarching chemical, fertilizer, cement, power plants, industrial plants and more found in coastal regions. 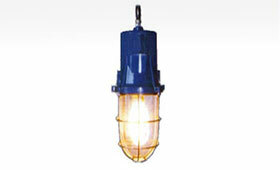 These fibreglass luminaries are manufactured with FRP well glass that has heat resistance property. These well glass lights & lamps are ideal for replacing 70W HPSV common fixtures as these lamps are power saving FRP luminaries. 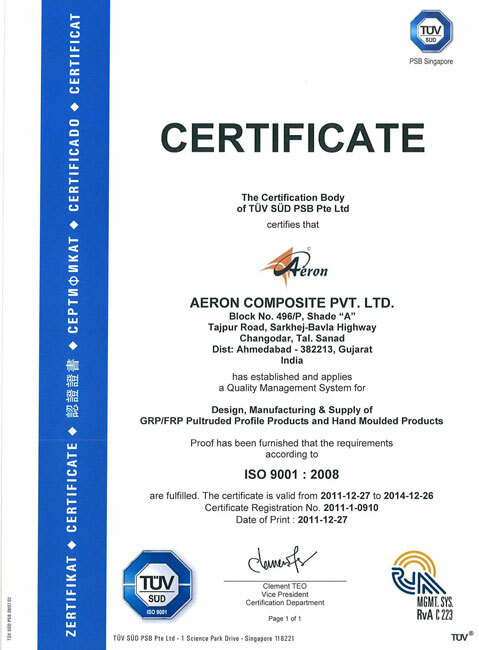 Non Conductive: GRP is a non-conductive material, thereby reducing the possibility of electric shocks & associated liability cost. Corrosion Resistant: GRP products will not deteriorate in salty air climates, acid rain or acid soil which enhances long term life & strength. Low Maintenance: GRP products will not rust or corrode which drastically lowers maintenance cost over the life time. Electronically Transparent: Does not affect electromagnetic or radio wave frequencies. Easily Fabricated: No need for lifting equipment or expensive tools; can be easily carried manually and cut using standard circular or saber saws fitted with carbide blades. Light weight yet Durable: Less than one-half the weight of steel grating allowing easy removal for access below floor level and installation with no heavy equipment and less manpower required. 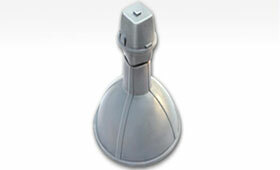 The luminaire housing is Hot Press Moulded Glass Reinforced Plastic (GRP). GlassWell glass - Heat resistance glass is provided with synthetic rubber gasket. Highbay/ Mediumbay - Teflon glass with rubber gasket provided. Retaining frame/ Wire guardStrong stainless steel wire guard is provided to hold & protect the well glass. HolderCeramic ES or BC lamp holders are provided as per customer requirement of high grade quality. Ballast & Igniter & CapacitorFor Integral type luminaries Heavy Duty Copper Wound Ballast, Capacitor & Igniter where ever applicable, are fitted right above the lamp holder assembly. Entries One no 3/4" BS conduit entry is provided for incoming cable with Brass/ Polyamide cable Gland with check nut. Hardware All hardware provided are SS 316. Suspension FRP Coated Eye Bolt is provided on top with good quality grommet to absorb the vibration. Alternatively SS 316 Clamps can also be provided. Available with ES/BC holder. Use ES/BC as Suffix while ordering.